We're getting close to peak Elysium. 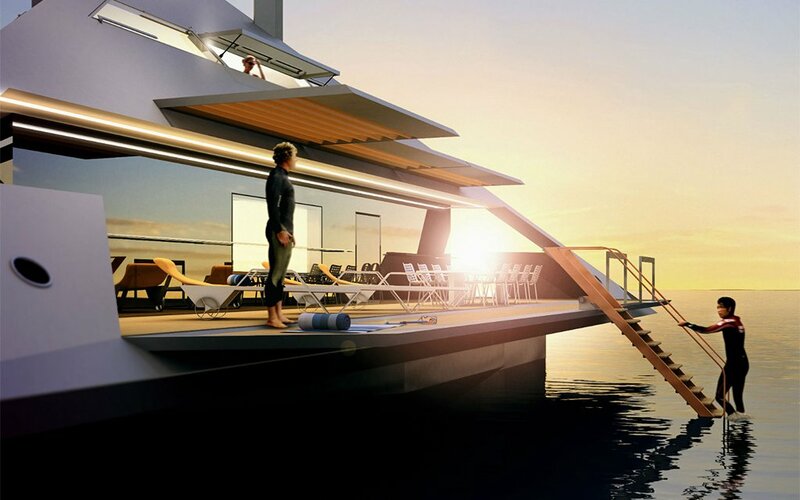 If you’ve been waiting for the day when we reach peak Elysium — you’ll remember the 2013 Matt Damon film, in which the 1% of the future orbit a ravaged Earth in the space equivalent of the Four Seasons — well, we’re one step closer, thanks to design firm Schwinge (really) and their new superyacht concept. According to Forbes, Schwinge’s superyachts are closer to reality than you might expect: The London-based designer is currently working with an undisclosed “superyacht shipyard” to develop the technology in private. Better start saving those bitcoins.